Craig Rogers has been a leader in the behavioral health industry for 20 plus years. Craig Rogers is an enthusiastic author and blogger, writting and publishing 2,000 articles related to the "therapeutic intervention of troubled teens." As a parent coach, mentor, and advocate, Craig has faithfully served 5,000 families with an emphasis on total restoration. Craig Rogers got his start in the behavioral health space in 1993. Craig served as the Outreach Coordinator for the Church of the Nazarene in Sacramento, California. 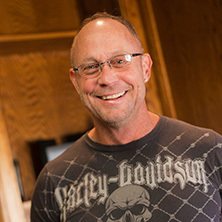 Craig Rogers was put in charge of designing and implementing a substance abuse outreach project for people suffering from chronic addiction. Craig was given virtually zero funding. Craig loved the addict and served them faithfully. Craig started up and managed a successful inner city outreach program known as "Recovery in Christ" (RIC). After graduating from California State University at Sacramento in 1994 Craig took a case management/substance abuse counselor position with Rite of Passage. ROP is a premier boarding school for troubled teens. At ROP Craig received outstanding training in Positive Peer Culture and student-led leadership development. In 1996 Craig took a management position with Koinonia Foster Homes where he was the Program Director for a group home for troubled teens. While with Koinonia Craig started up and managed the therapeutic foster care office for Koinonia in Las Vegas, Nevada. In 1997 Craig and several partners started up a psychiatric-based residential treatment center for troubled teens known as Positive Impact. Craig was Positive Impact's Program Director. Craig and his wife Wendy struck out on their own in 1999 and started a Christian therapeutic boarding school for troubled boys and girls. Craig and Wendy managed and operated Abundant Life Academy until September 2011. Craig's professional training over the last 20 years is too vast to list. However, the most cherished training Craig holds didn't come from a college or university. The most important experience Craig gained came from the privilege of working with teenagers and their families.